When clicking on a Spare Chanel, the option "Load to Layer... " does not occur. 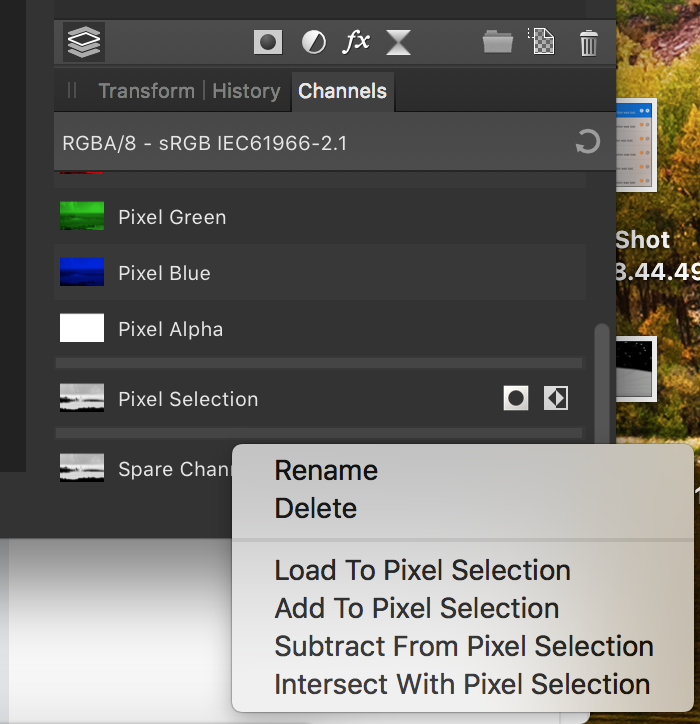 Select a layer and click on Load to Pixel Selection, and the selection will be on that layer. You can move the selection to another layer afterwards by clicking on that layer. Selections aren't tied to a particular layer. Thank you, toltec! I work this way, but was curious why the option from above does not appear as in all AP tutorials. If some selection is active I have to add a new layer or to duplicate the selected layer ( and delete the original one). In this cases the selection is moved to the desired layer. I don't need to do that. Is the original layer locked ? 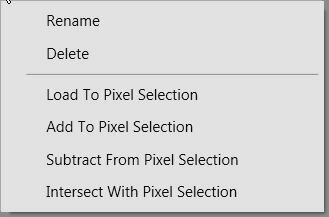 I can Load to Pixel Selection, select the layer I want move the selection around from one layer to the other. I can even Place a new file with the selection in place and put the selection on that (after rasterising) it's all very flexible. Dear toltec, finally! I Load to Pixel Selection, the destination layer is marked I HAVE to PRESS the BACK Key! Strange, but the selection is accepted !